In recent times, Airbnb redefined their HR function in terms of what it is and what it does with the appointment of a new Global Head of Employee Experience. The role is to oversee and connect everything that has to do with their “workplace as an experience” vision, which is central to their culture and customer-centric approach. 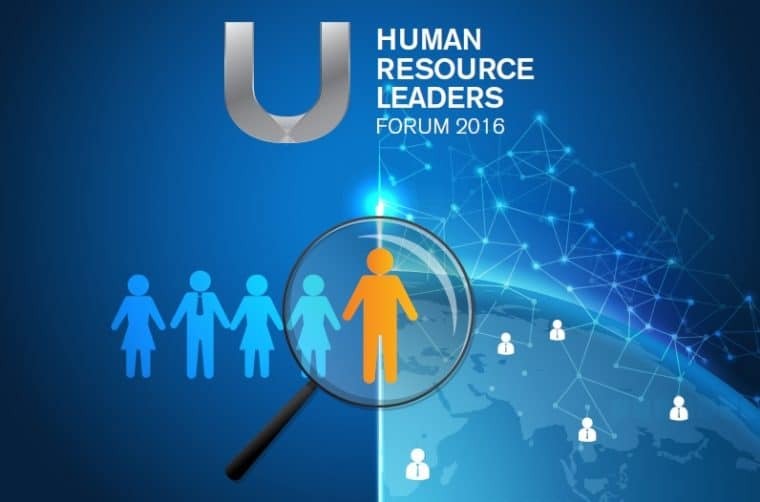 With our workforce becoming more diversified and people staying shorter in any one job, it is an apt time to address the future of HR in Singapore, and what better event to do this than the NTUC’s U HR Leaders Forum 2016? 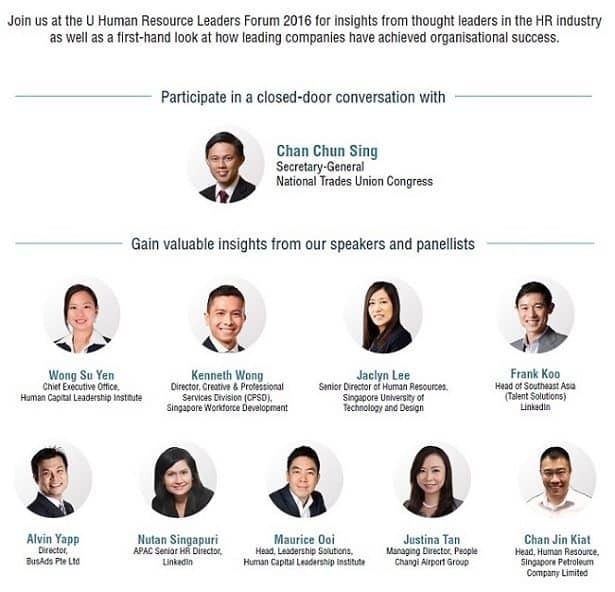 I’ll skip the talks and panel discussions to jump right into the part where the future of HR in Singapore is shared (although I must point out I thoroughly enjoyed the talk given by Alvin Yapp of BusAds). The Secretary-General of NTUC, Mr Chan Chun Sing, held a closed-door dialogue with senior HR practitioners to discuss about the future of HR as a profession. 1. How can we make HR a respected profession? The dialogue went into the deep end really quickly after a participant remarked that HR is sometimes seen as a profession for people who can’t go anywhere else. With that premise, how do you make HR a respected profession? SG Chan was quick to point out that nobody could look down on HR professionals if they don’t look down on themselves first. HR professionals often inundate themselves with the supply side of things (i.e. hiring workers) but completely forget the demand side (i.e. knowing which department is growing the fastest and what kind of workers they need). If HR doesn’t bother to learn more about the business, it’s not surprising workers just go to HR for their paycheck and admin issues. 2. How can you upskill to be an HR master? Competency 101 tells us that the typical expectation of an HR professional is to make sure workers get their salary on time. But a real HR manager grows the potential of the organisation’s human capital instead of just managing the human resources. This is especially so for people who are working in jobs which will be disrupted by technology. Training and redeployment has to be done ahead of time before they lose their jobs. And that also includes helping the workers to understand why they need to learn new skills and get them out of their comfort zone before it is too late. 3. I’m not a CHRO, can I still influence change? The killer punch came about when SG Chan asked the audience if they would ask their kids to join the HR profession. Not all raised their hands because we know the HR profession isn’t as perfect as we hope. And to expect things to change by itself is futile. We should influence change in our environment in our current roles, instead of saying we have no influence because we aren’t CHROs. With the latter mindset, we would have already lost the willpower to make changes because we already become too complacent with the current system. 4. How do we value HR professionals? SG Chan emphasised he will do all he can to take care of HR so that they can take care of the workers under their watch. NTUC will meet with HR professionals more regularly to ensure we are most capable and equipped to walk the new path. Internally, we as HR professionals must be able to better communicate our value across to the employer that we are worth their salt. One question to ask yourself is if you have 20 years of experience, is it 20 years of varied experience in your career, or just doing the same one job for 20 years? Originally published on Singapore Business Review.